Snickerdoodles! which I can best deescribe as sugar cookies with cinnamon sugar. Left numbers will be double batch, right is normal batch. Technically my method is mix Milk, sugar and butter, until sugar is blended with butter then add all except egg goes in last. 375F, 8-10min (note if ur oven is hot or colder than most please change accordingly) Should be lightly brown on the bottom, off white on top. Roll into a small ball (same as you would a chocolate chip cookie) and press a little to make it a little flatter. In a small bowl make Cinnamon sugar, which is just cinnamon and sugar, I don't know how much I just eyeball it. After cookies are baked and rested for 30s-2min dip the tops in the cinnamon sugar, just swirl lightly once and put back to cool. I better translate those recipes then. Gonna post instructions for a really simple dessert for now. Most of the cooking for this is for the vanilla pudding. Gonna leave that part out because it is not the focus. Whip cream and let everything cool. After it is cooled, stir in chocolate and rum. Once you are done with that, fold in the creme. And that's pretty much it. Very popular dessert for festivities, such as weddings where I live. TL;dr, i know onlg that i'm making the main waiter of q specialized-in-fqrm products restauraunt go crazy, 90Âxkg prosciutto crudo wasn't that great, pseudo mozzarella di bufalq sucked balls, we'll see how the scottona sandwich is, but i exoect nothing too great. American Italian > Italian Italian. Roll into small balls like you would chocolate chip cookies, put in oven 8-10min for 375F (if to hot go down to 350) when you pull out of oven you can either decorate while on pan or drying rack but pinch white sugar to sprinkle on top, use as little or as much as you'd like. They will spread out to be very thin but nice soft and chewy. Alright, since Basil really wants it, a recipe for Spekulatius follows. Mix flour and baking powder. Add everything except the almonds and knead it. Add almonds and knead it again. It should result in a smooth dough. If the dough is still sticky, wrap it in foil and cool it. When you roll the dough, make sure it's thin. Use whatever to cut out some shapes. I don't expect anyone to have a proper mold for them. Bake for ~10min at 180 Â°C. YESSSSSS Spekulatius!!! Also is the wheat flour like.... whole wheat flour? or just basic white flour? 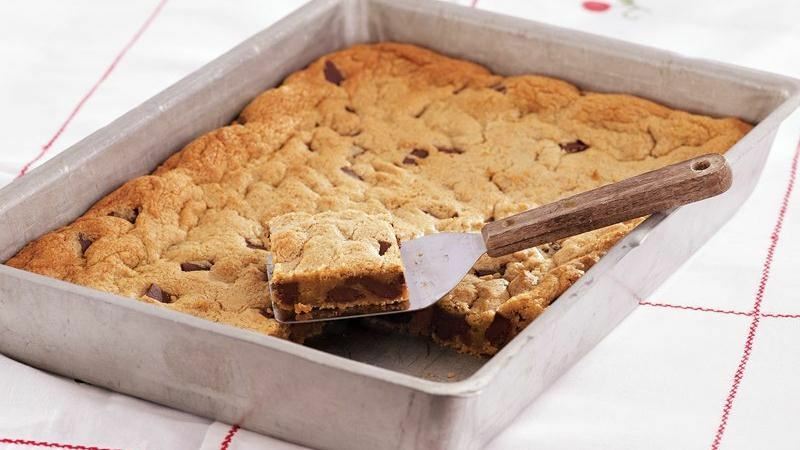 This is Peanut butter blondies, so they're a peanut butter version of brownies! Oil or butter your pan so it doesn't stick, mix all ingredients together EXCEPT CHIPS once all its properly mixed together hand mix in the chips, put into pan and press evenly. it'll likely take around 20-25min if not more so check in on it till its nice and brown around edges.